Ooty, with its enchanting scenic beauty surpasses many other hill stations in the country- the reason why it has been called as the Queen of Hill stations. Its lush greenery accompanied by the soothing environment presents an ideal break from the city lives. Vast spread of landscapes, misty hills which are dotted with waterfalls, lakes, tea gardens, parks, spice plantations and alluring viewpoints makes Ooty a nature’s heaven. A tour to Ooty becomes even better with exciting activities like trekking, hiking, boating, horse riding, etc. However, for an enjoyable tour you need a suitable place to stay, travel tickets and arrangements for commuting within the hill station. Making these arrangements require a lot of time and efforts. We at Holidays DNA do the travel related works for you. 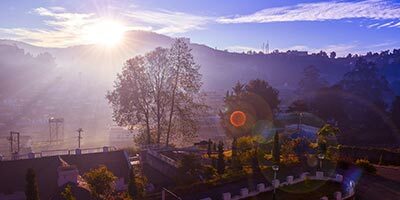 Our Ooty tour packages, which have been created keeping varied interests and budget in mind, present an easy way to plan your Ooty holidays, without any stress of arrangements or going over the budget. We have Ooty tour packages from all the major cities in the country. For travellers from Madurai and other areas we have Ooty tour packages from Madurai. You can choose from our extensive list of Ooty to Madurai packages and travel as per your preference. Along with this, we also have Ooty packages from Hyderabad, Ooty packages from Bangalore, Chennai and other cities such as Delhi, Pune, Mumbai, etc. Our exclusive Ooty Tour Packages from Madurai present an ideal way to plan your journey from the Athens of East, Madurai to the Queen of hill stations, Ooty. If interested, customers can club their Madurai tour with Ooty tour as well. Madurai, which is popular for the revered Meenakshi Amman Temple is a historical town that is worth visiting at least once in a lifetime. After exploring this ancient temple town, you can plan your visit to Ooty from Madurai. We at Holidays DNA make it hassle free for you to embark on your Ooty tour. We offer various kinds of Ooty Tour Packages from Madurai, ranging from luxury holidays to budget travel, large group travel to travelling solo or just with your spouse, last minute weekend trip to a 6 -7 night long tour to Ooty. We also have specific list of Madurai-Ooty packages for honeymoon, adventure tour and family tours. However, irrespective of which package you choose, we ensure that you receive the best of facilities and services. We as a team strive to create a memorable trip for everyone. Most of our Madurai to Ooty tour packages comprises of accommodation; private taxi for sightseeing; pickup and drop services from your respective hotel to airport, railway station or bus stand; guide if required as well as any special arrangements such as wheel chair, baby sitting facilities, candle lit dinner at the hotel, room decoration for honeymoon couples, etc. 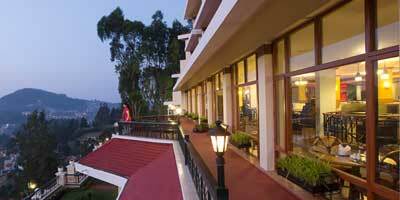 For accommodation, we have selected the best hotels in Ooty for each category. You can select the hotel from our list as per your budget and preference to enjoy a comfortable and luxurious stay in Ooty where you are pampered with complimentary breakfast and timely services of the staff. Another important aspect of any tour is the sightseeing. With our Ooty Tour Packages from Madurai you can explore each and every tourist attractions in Ooty without any trouble. You don’t have to worry about finding transportation or waste your time in bargaining rates as the packages include a private cab which will take you to all the places you wish to visit in Ooty. The Ooty packages are also inclusive of driver payment as well as parking charges. They are also available throughout your trip, offering assistance whenever required. So spend your dream vacation in Ooty while our travel advisors put in every possible effort to make your tour as special as we can. Some of the places to see in Ooty are Doddabetta Peak, Ooty Rose Garden, Pykara Waterfalls, Emerald Lake, Kalhatty waterfalls, Ooty Botanical Garden, Ooty Lake, Dolphin's Nose, Wax’s World, Deer park, Stone House, Hidden Valley, Avalanche lake, Toda Huts, St. Stephan Church, Tribal Research Centre, Parson Valley reservoir, etc. Along with this, visiting tea gardens in Ooty and a ride of the Ooty toy train is also a must. If looking for some adventure activities then a trekking to the waterfall and viewpoints are ideal for you. For a relaxed evening, have a boat ride at the Ooty Lake. Madurai and Ooty are well connected via roadways and railways. The distance between Madurai and Ooty is around 310 km, which can be covered within 6 hours to 6 and half hours of time on road via NH44. There are many regular buses, both private as well government, between these two destinations. Tourists can also hire a taxi and travel to Ooty at their own pace. Ooty and Madurai are also well connected via trains.